Benchemark Printing has been a recognized leader in the printing industry since 1985. We are a full service commercial printer offering our clients design, printing, bindery, fullfillment and warehousing services. We are confident that we can help you put your best foot forward regardless of the scope of your project. Benchemark Printing was established in June of 1985 and has since grown to become one of the most successful companies in the Northeast. We have always striven to maintain personal relationships. From the beginning, we have based our business on bringing customers the best quality printing and service available. We believe that nothing is more important than maintaining personal ties with our customers. We are constantly upgrading our equipment and facilities to include the latest innovations in print technology. We are confident we can help you put your best foot forward regardless the scope of your project. 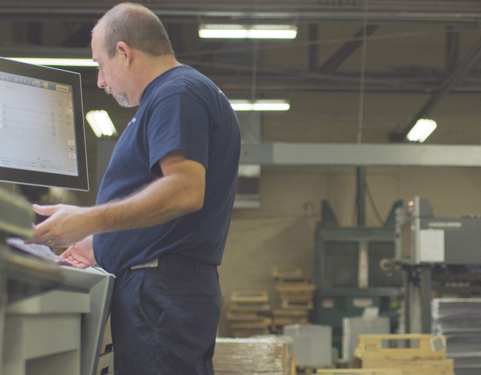 We are a full service commercial printer offering our clients pre-press, printing, bindery, fulfillment, and warehousing services. Large or small, we are equipped to handle your needs. We are situated in a 96,000 square foot facility which houses 40” Heidelberg presses. We use state-of-the-art as well as tried and true equipment to ensure we deliver the best quality product to our customers.